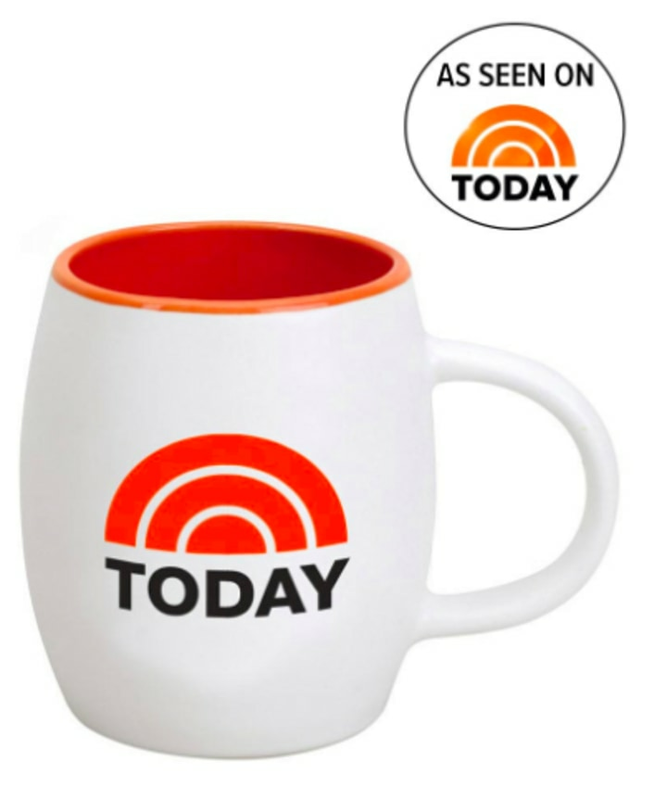 Finding the perfect gift for co-workers is no easy task. That is, until now! Want to get in good with your co-workers this Holiday season? 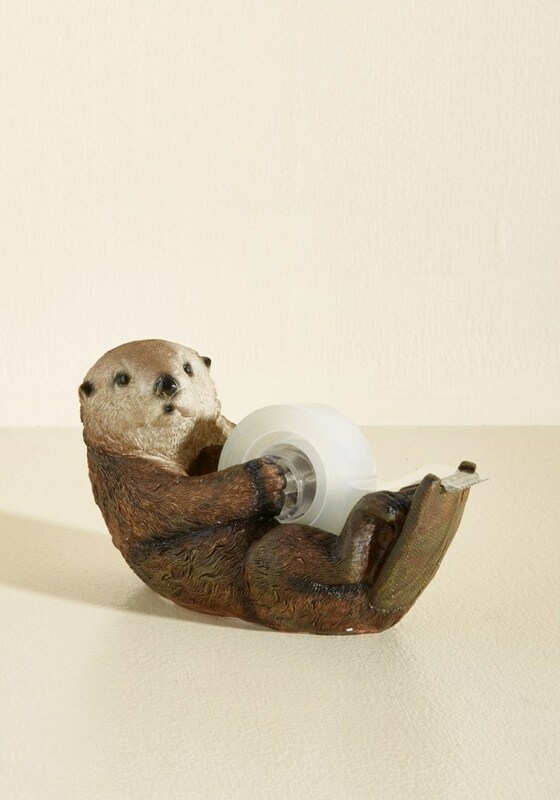 We know that finding the perfect gift for an office mate is no easy task. That is, until now! 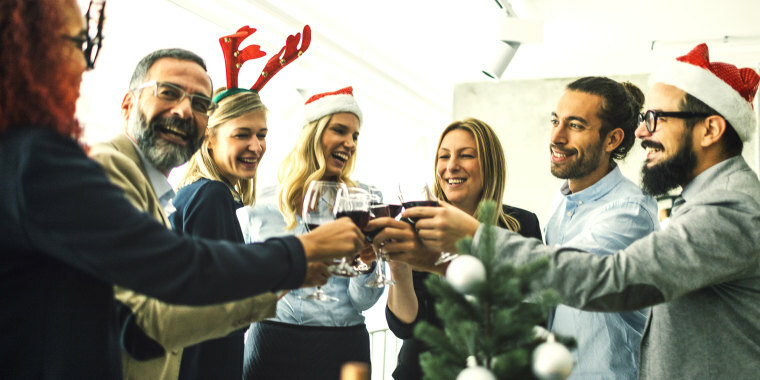 From a bubble wrap calendar to a personal shiatsu shoulder massager, we've rounded up a slew of awesome gifts that will not only show your colleagues just how much you care, but might also put you in line for that long overdue promotion. We all know things can get pretty stressful at the office. 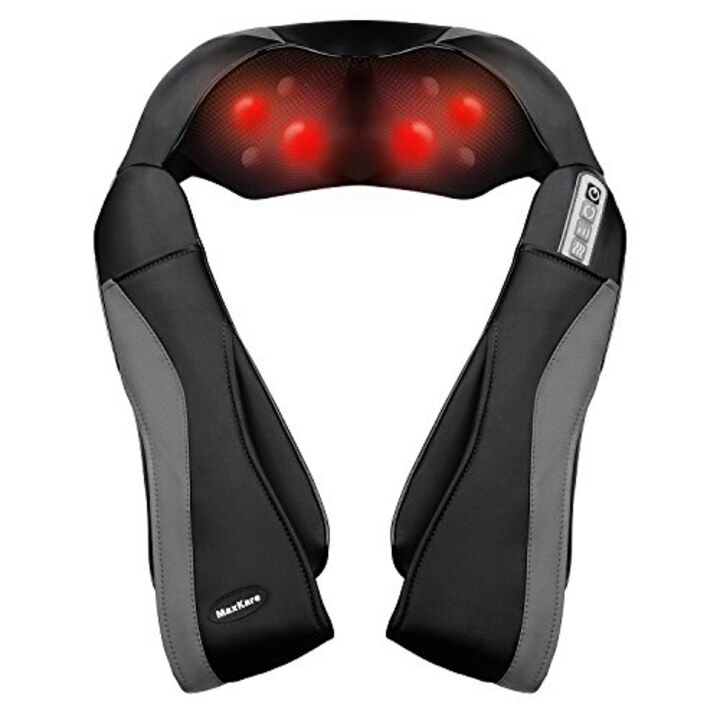 This shiatsu neck and shoulder massager is like having a personal masseuse on call. Truly, a gift that gives back all year long! This box of 52 thank you cards inspires a weekly expression of gratitude for favors big and small throughout the course of a year. Such a wonderful way to let co-workers know how much you appreciate them. Let’s face it, few things are as satisfying as a good bubble wrap pop. 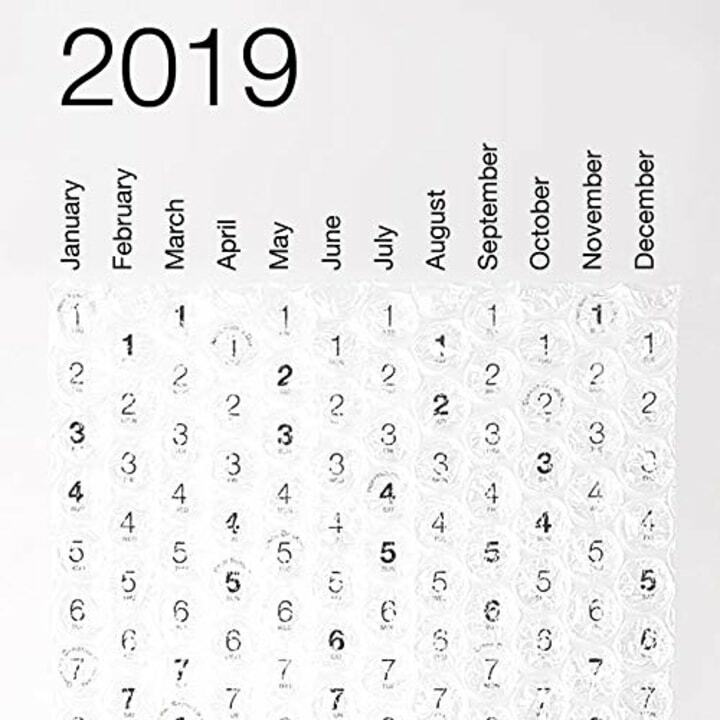 With this calendar, they’ll get 365 pops — one for each day of the year. For the colleague who has everything? The llama desk duster! He keeps your desk dust-free with his shaggy pink locks and looks adorable while doing it. Sign us up! 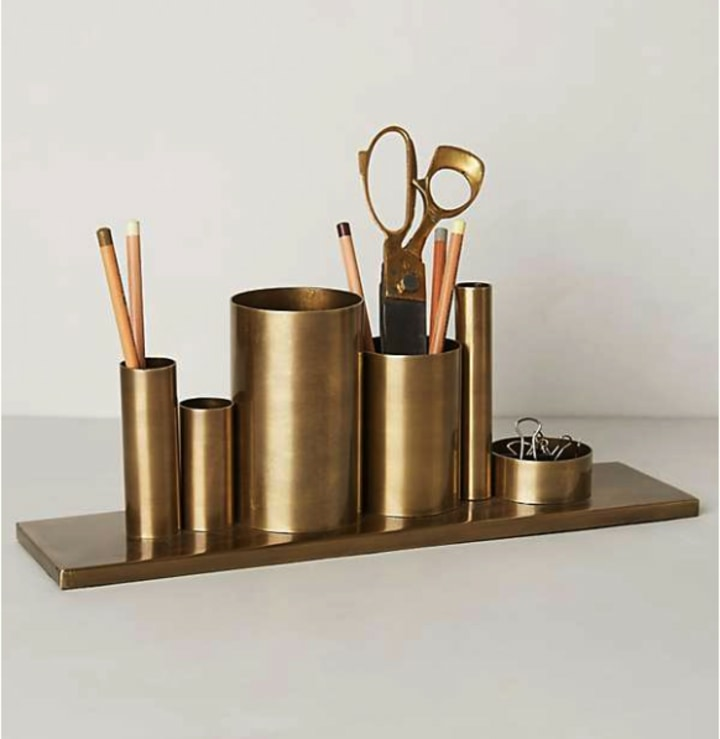 Beautify your neighbor’s desk with this sleek pencil holder. It is the epitome of stylish storage. 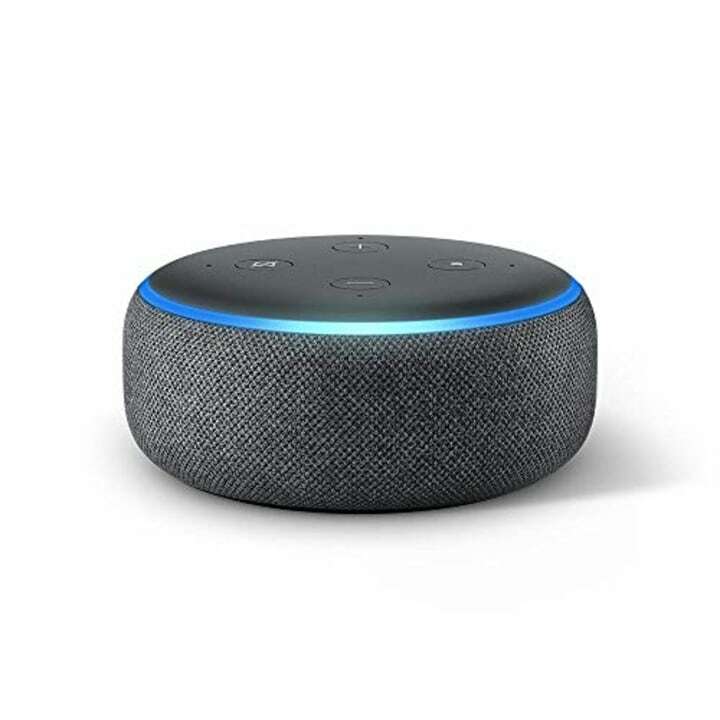 The Echo Dot is the next best thing to a real personal assistant. 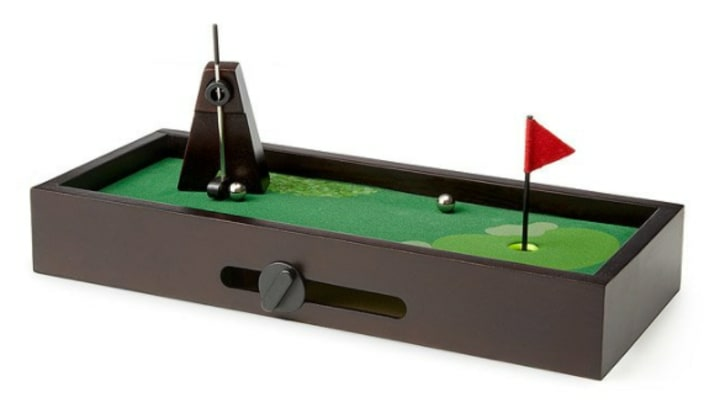 In lieu of an "I'd Rather be Golfing" t-shirt, this desktop golf game brings a whole new meaning to the term mini golf. Plus, it takes a lot less time away from the job than a real eighteen hole game. 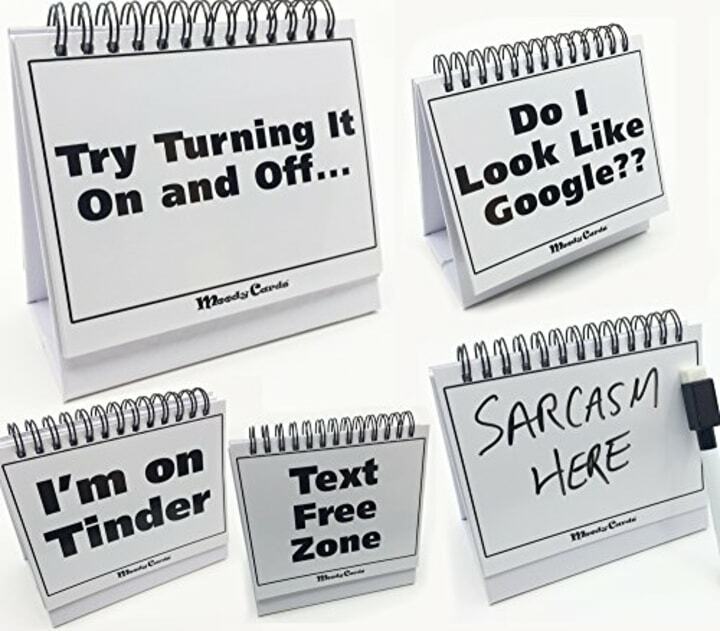 Help your co-worker communicate their current mood and feelings without having to open their mouth. Moodycards comes with thirty different messages as well as a blank cards and an erasable pen for more personal musings. 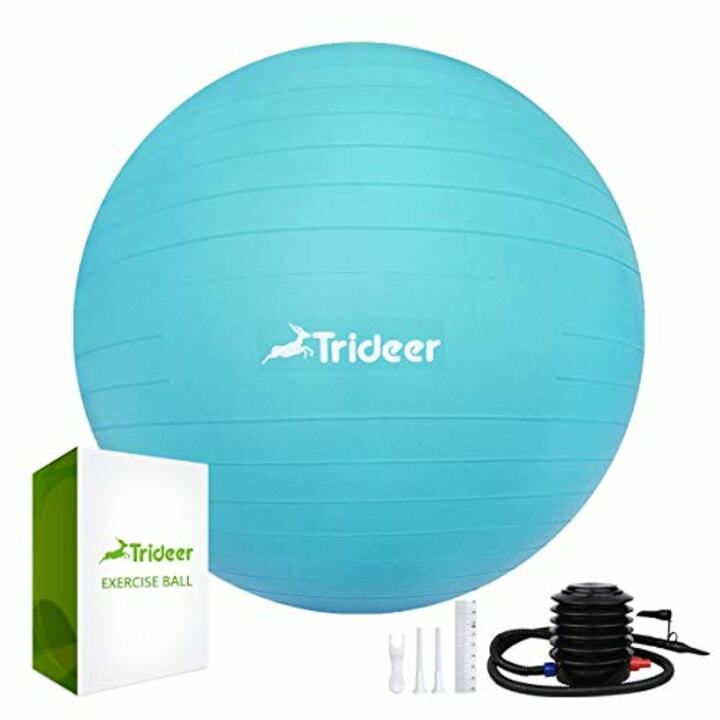 Similar available for $15 at Walmart. 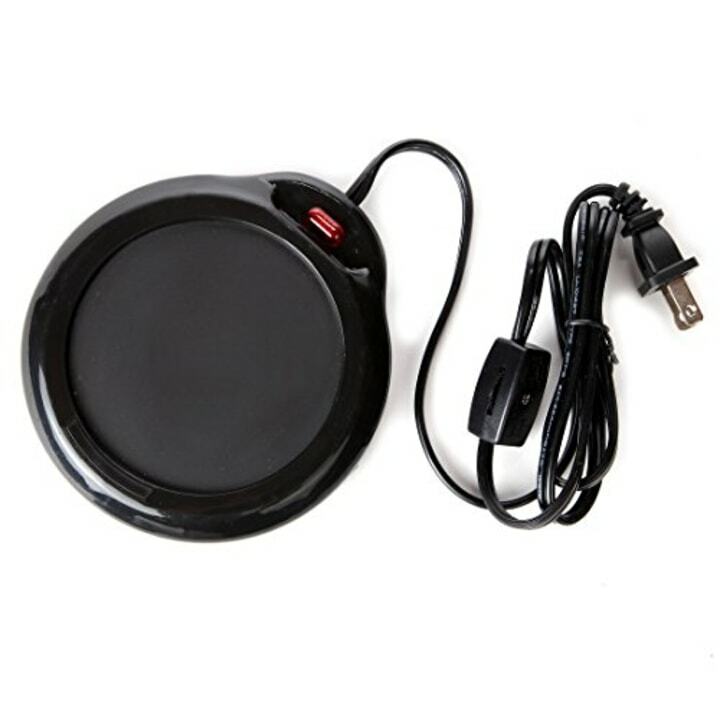 This inexpensive mug warmer will keep your co-worker's coffee steaming hot all morning long. 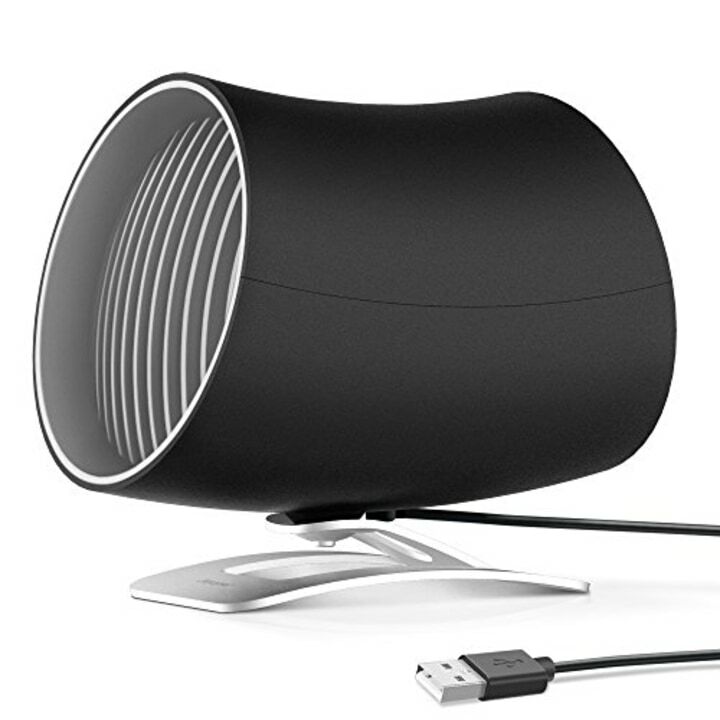 Help your co-worker keep their cool with this super-mod, personal desk fan. 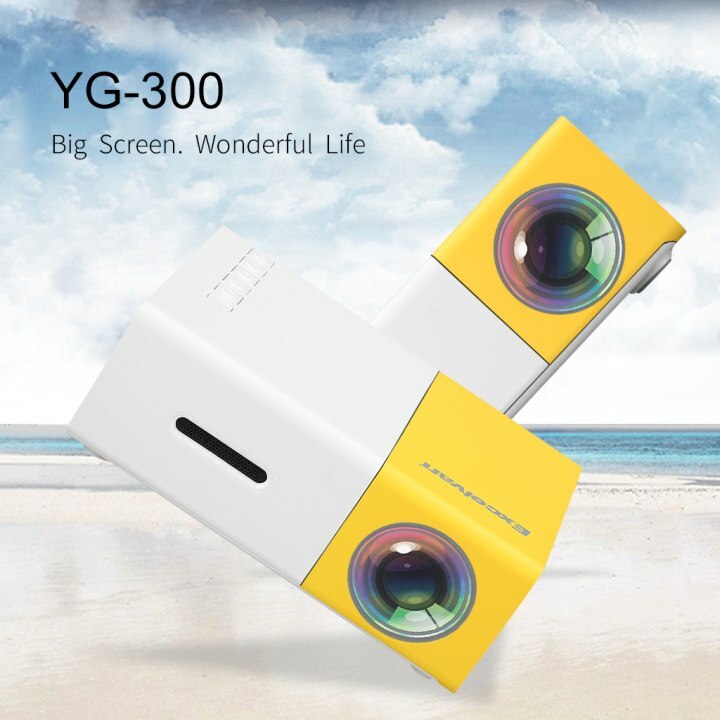 It’s USB-powered and has two speeds ensuring maximum personal comfort. We're also obsessed with pretty much all the plants The Sill has to offer. You know what we love about succulents? No green thumb, no problem! 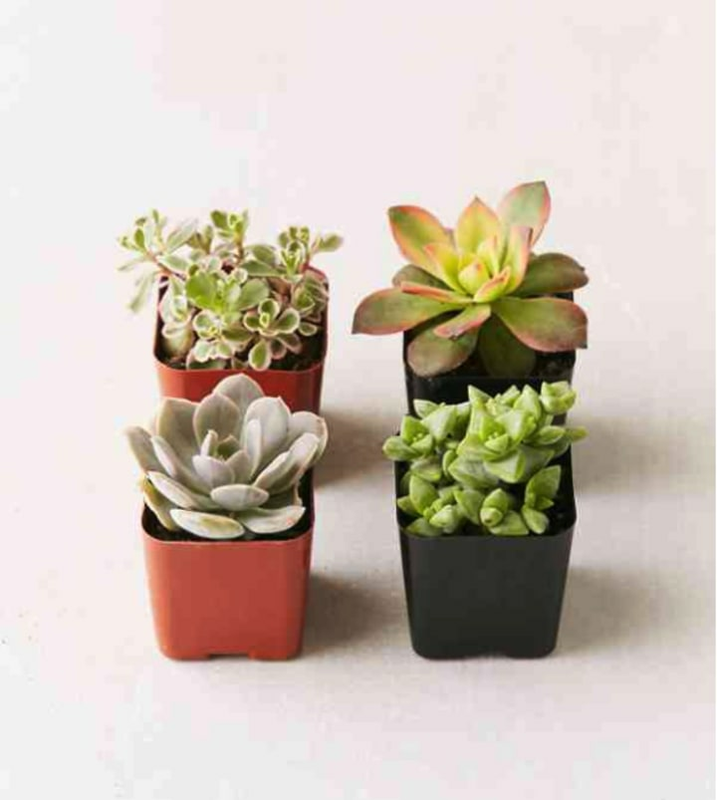 These 2-inch plants require almost zero care which makes them the perfect desk accoutrement for all. The office tea lover will rejoice upon receiving this beautiful gift box filled with an assortment of Tea Forte’s most popular varieties. 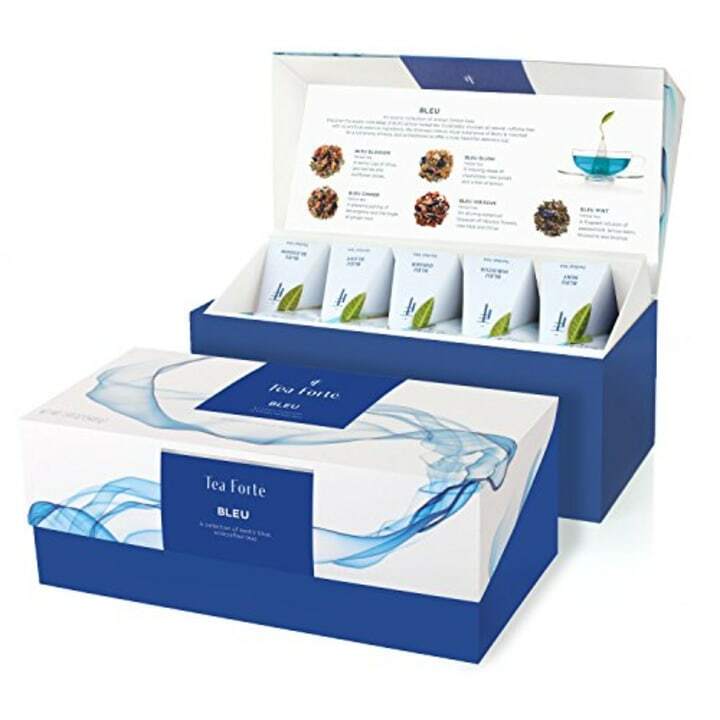 The sampler includes twenty individual pyramid tea infusers for twenty days of tea time bliss. 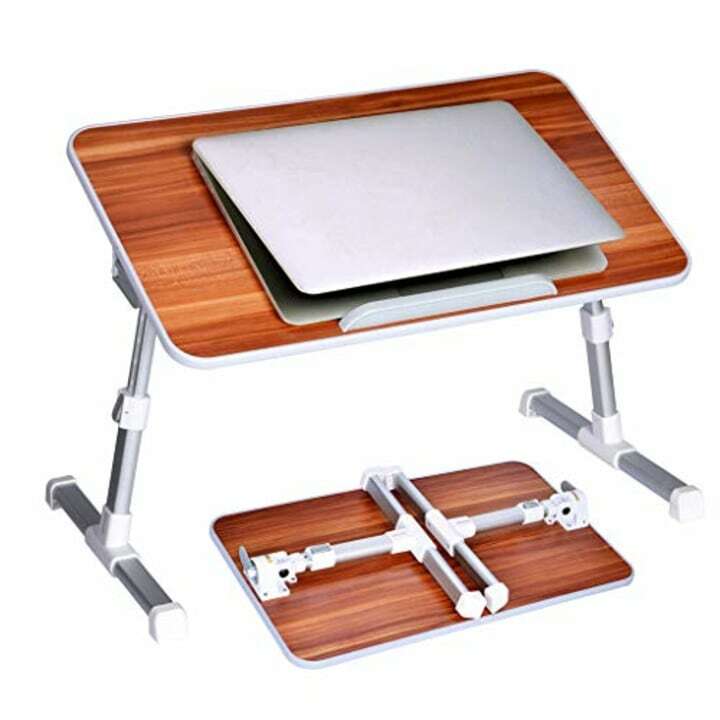 To help combat the ill effects of hours sitting in front the computer, your co-worker will be grateful for your thoughtful gift of a standing desk. And while you're at it, pick up one for yourself. 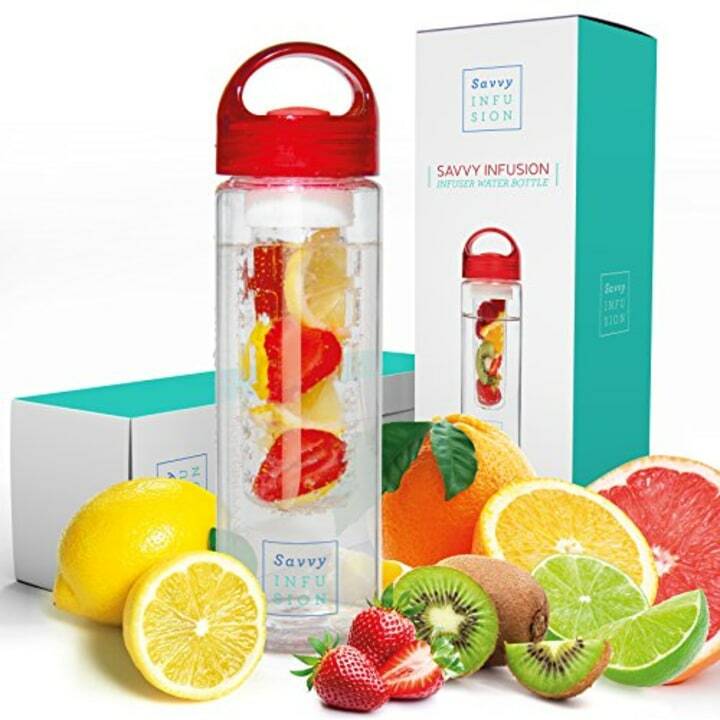 Your favorite colleague will enjoy hydrating (deliciously) with this infusion water bottle. Simply add frozen or fresh fruit along with flat or sparkling water for a refreshing, fruit-infused water break. Also available for $50 at Walmart. 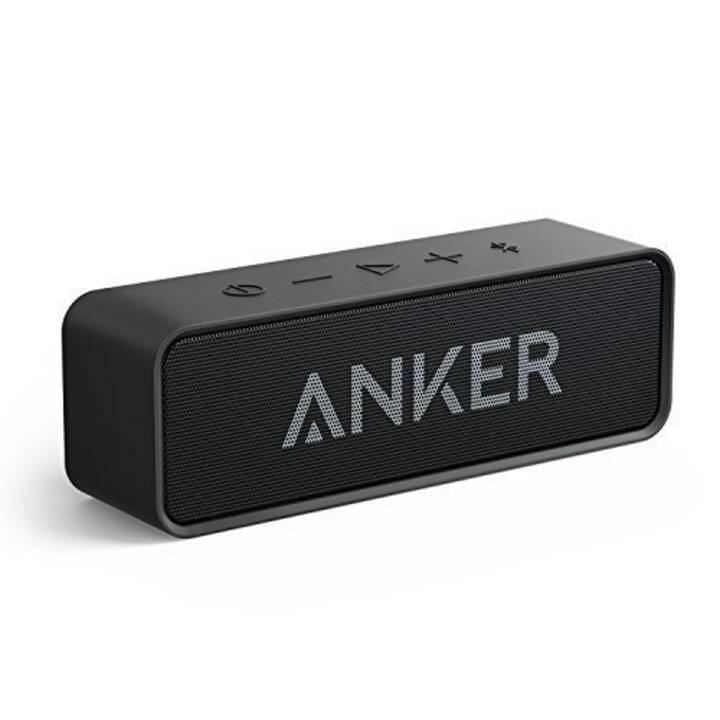 The Anker SoundCore Bluetooth Speaker is a great gift for the co-worker who has taken on the role of office DJ. This tiny speaker is portable and can play up to 24 hours on a single charge. Their caramel corn is also available in a 12-bag box for $57 at Walmart. Now, this gift may be a little self-serving, especially if your desk is next to the giftee. 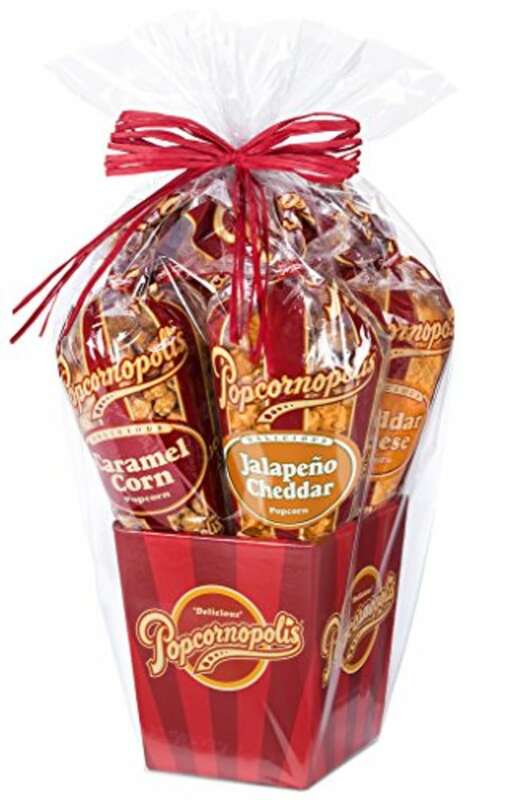 It's a basket of five delicious favors of popcorn so big that your officemate won't be able to refuse your humble request for a handful (or several) every now and then. For more food-related gifts, check out our gift guide for the foodie! If all else fails, you can never go wrong with a sweet treat. 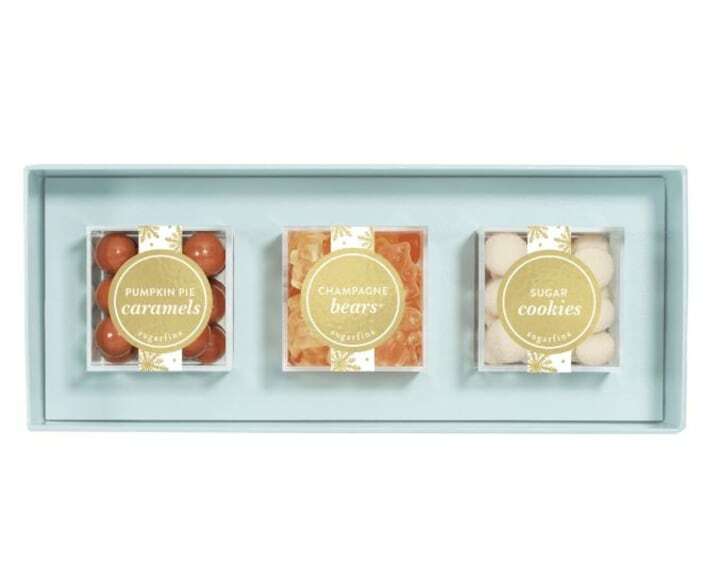 Sugarfina's pre-picked gift boxes look like you put in more effort than you did, and they taste delicious. 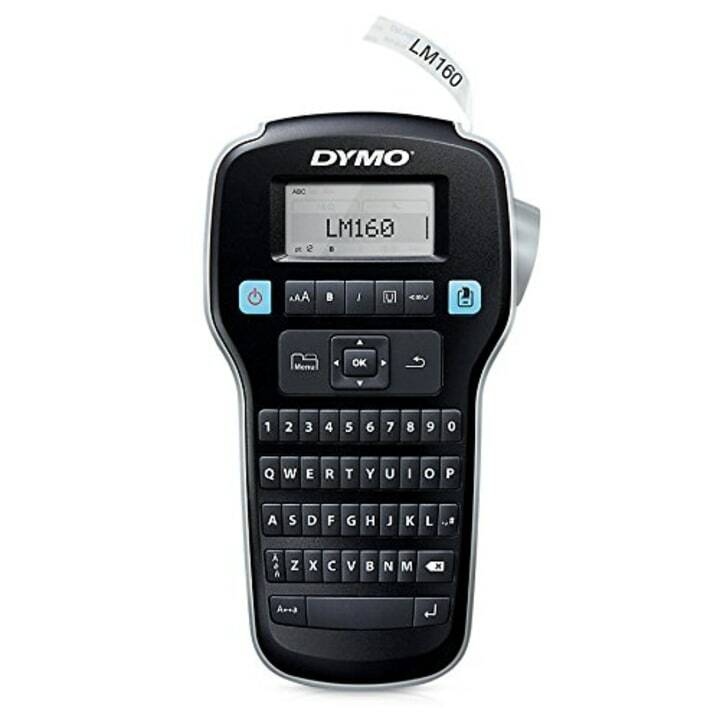 The uber-organized colleague will likely do cartwheels down the hall when they receive their very own handheld label maker. The only drawback is that you may find that the stapler you often “borrow” is now clearly labeled with its owner’s name. Also available for $34 at Walmart. Trust us, this is a never-go-wrong option. 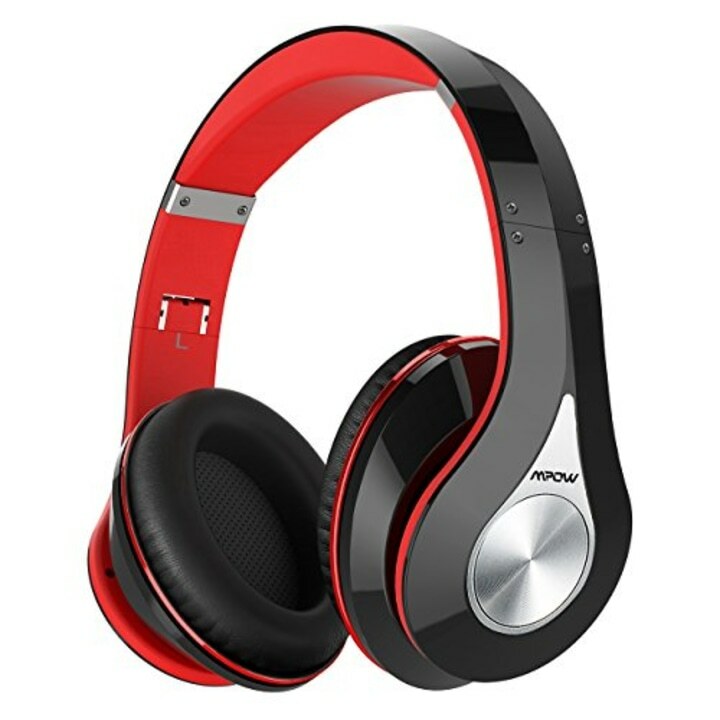 Who wouldn’t love a pair of jazzy red and black headphones to help drown out the din of the office? This one's for the boss or co-worker who can't seem to find a comfortable seat all day. This gift is a slam dunk. It's useful for work presentations as well as taking home to watch TV on a full wall. There's always one person in the office whose stylish desk elicits envy with their cool and modern office accessories. 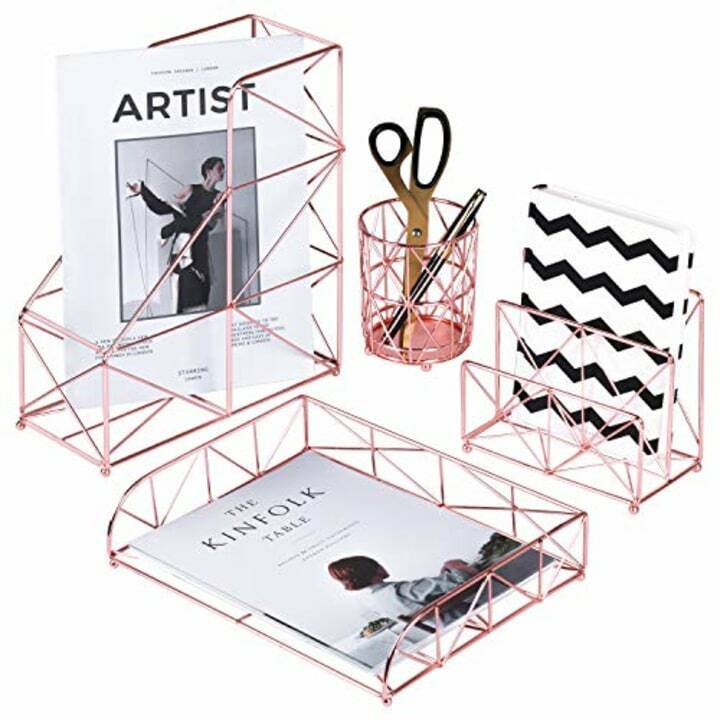 These minimalist and well-designed wire organizers are the perfect gift for the coworker with the curated desk. 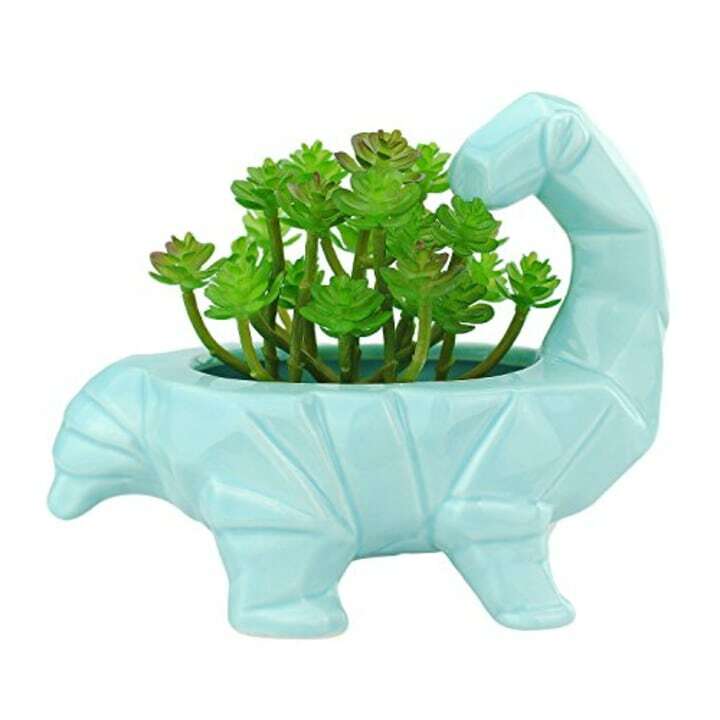 It is important for one’s desk to have some personality, and this dinosaur planter will instantly deliver much needed flair. Talk about a chic stapler! 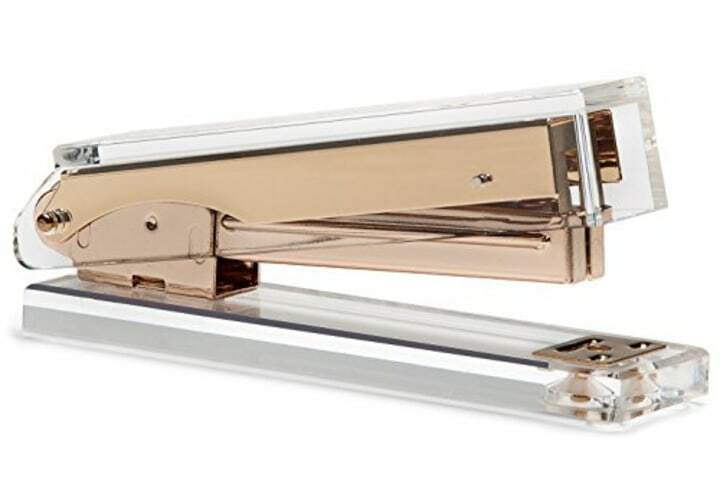 Turn the act of stapling into a luxurious experience for the co-worker who is lucky enough to be gifted with this beauty. It also comes in a tumbler for cold drinks! For the officemate who's always busy, the “I Am Very Busy Mug” doesn’t mince words. 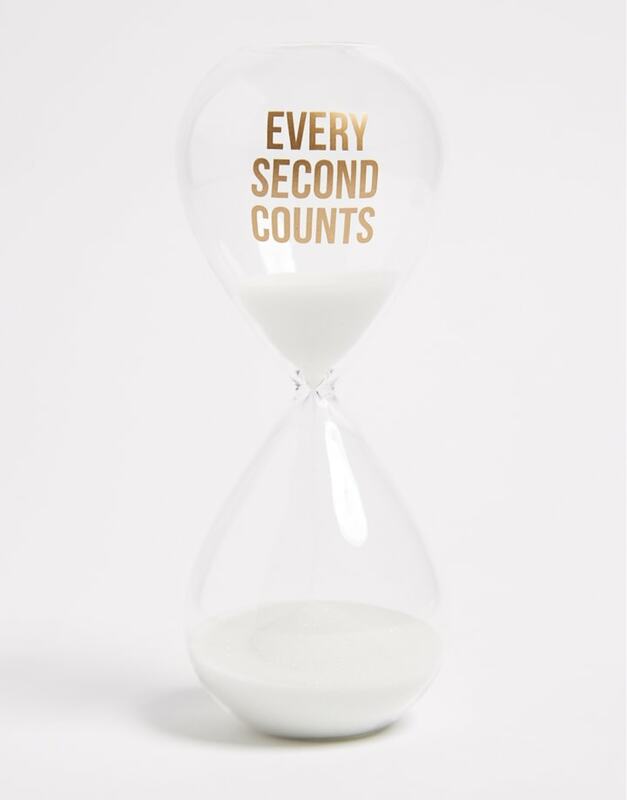 This timer is a stylish way to stay on schedule. We love an old-school planner where you can actually write things down. 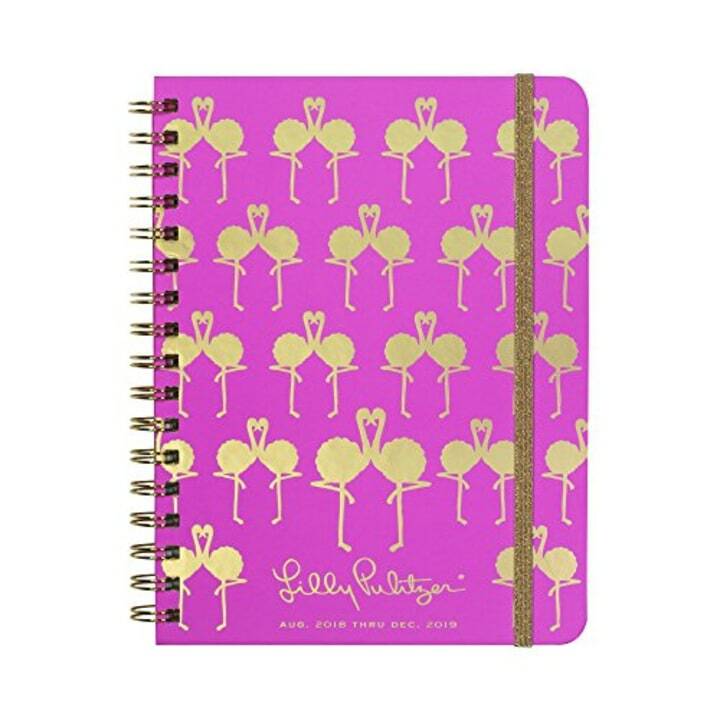 Your like-minded officemate will be thrilled to receive this adorable Lilly Pulitzer 17-Month agenda to keep her organized through December 2019. 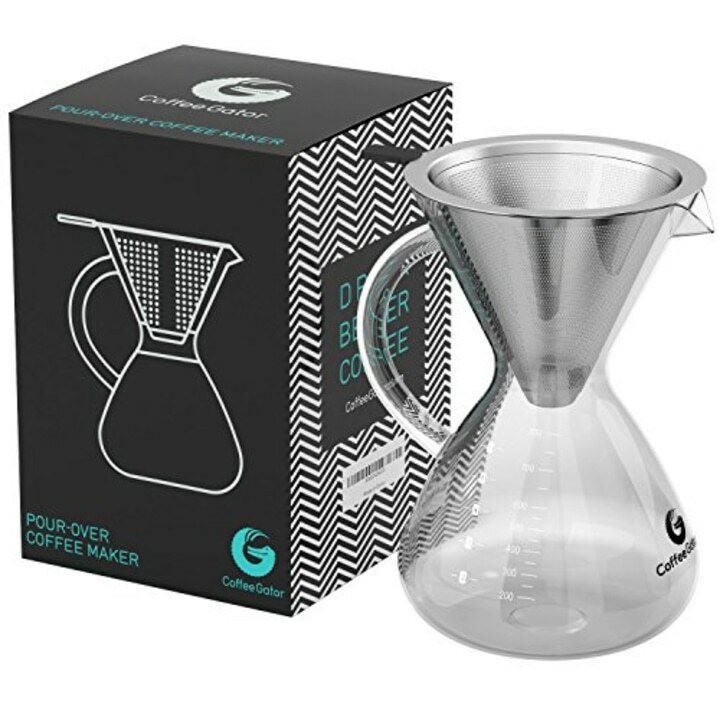 For the office coffee connoisseur, this portable drip coffee brewer delivers a rich cup of Joe right at their desk. 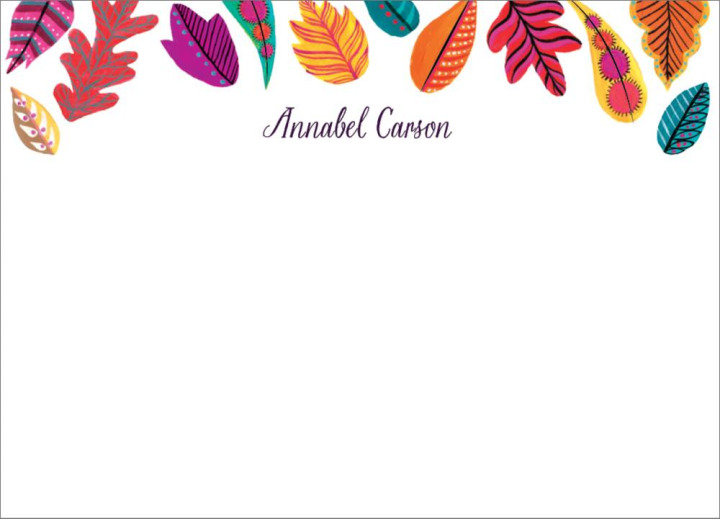 This pretty custom stationary is perfect for fall and will be appreciated by those who value the lost art of the thank you note. 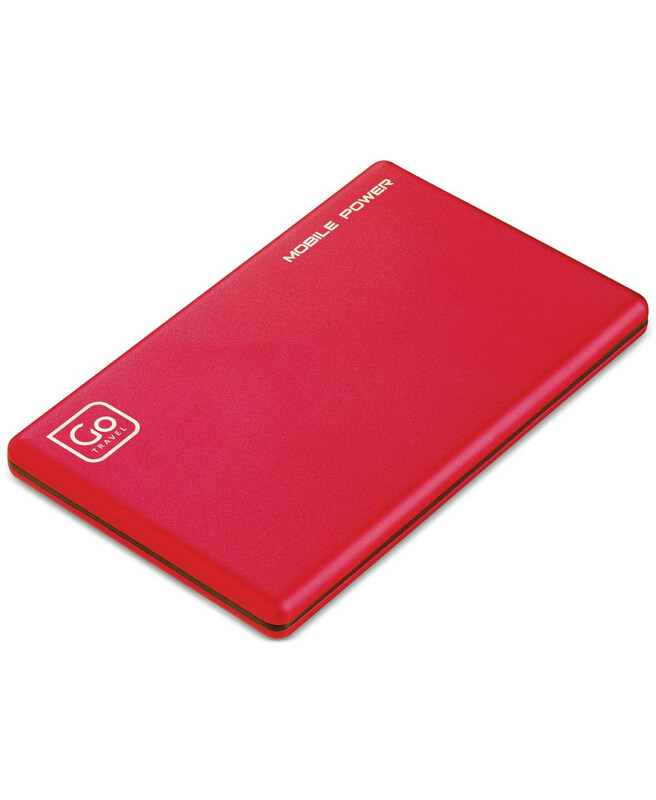 Help make sure that your co-worker never again misses that text about the fun, impromptu holiday party with this slim power bank. The only drawback to this gift is that it makes it tough to use the old “my phone ran out of juice” excuse for missing the boss’s call. Whoops, we meant an additional benefit to this gift is that your co-worker won't ever again miss the boss's call — ever. 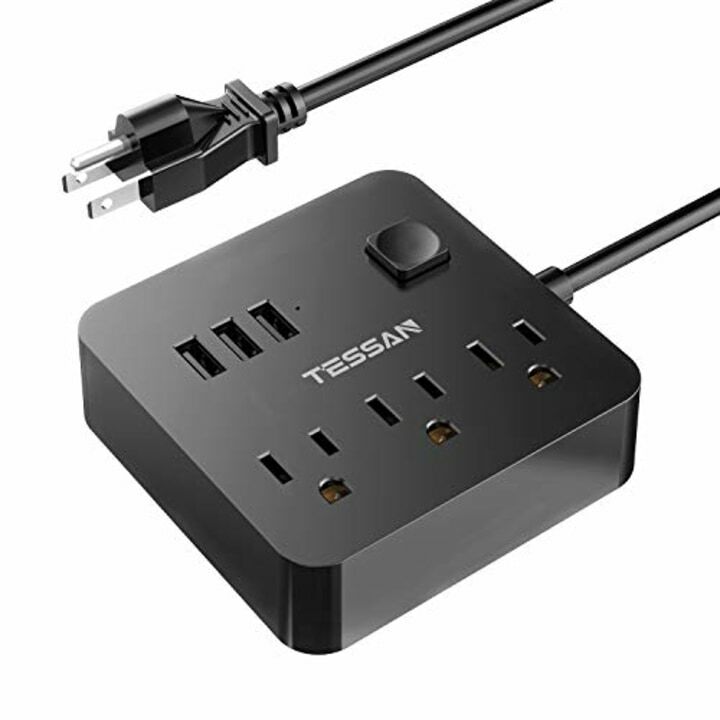 Talk about useful — this desktop charging station and power strip features three USB ports and three outlets, all in one unit. Your office mate can now charge all their devices in one place, because let's face it: There are never enough outlets. This is great for all of those early mornings in the office when your boss or co-worker needs a BIG caffeine kick to get things going.